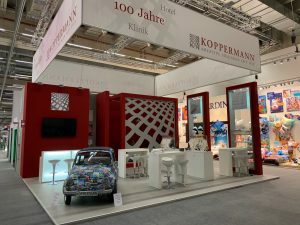 Our little classic car, affectionately called Koppolino, got a completely new design just in time for the beginning of our anniversary year! 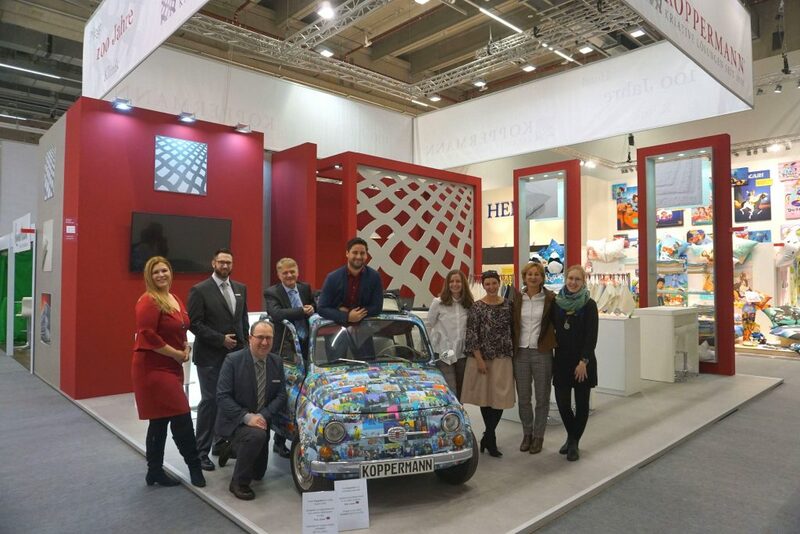 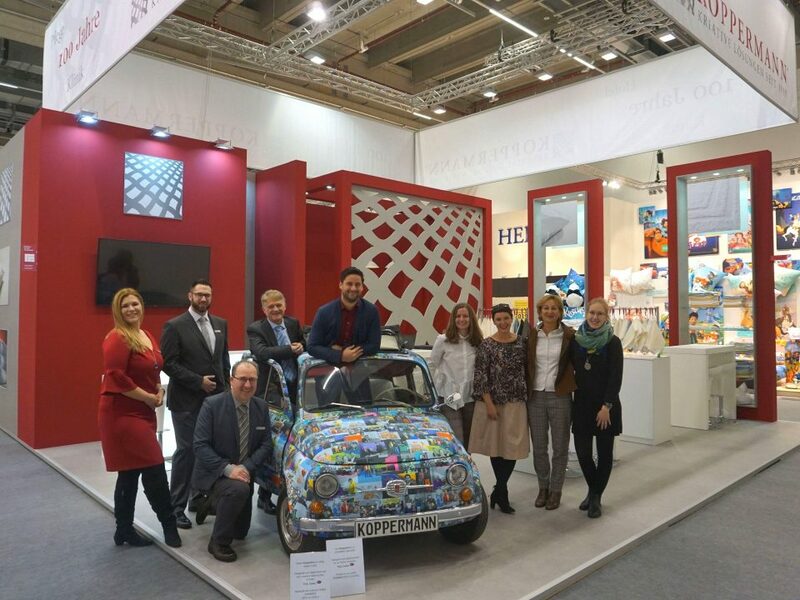 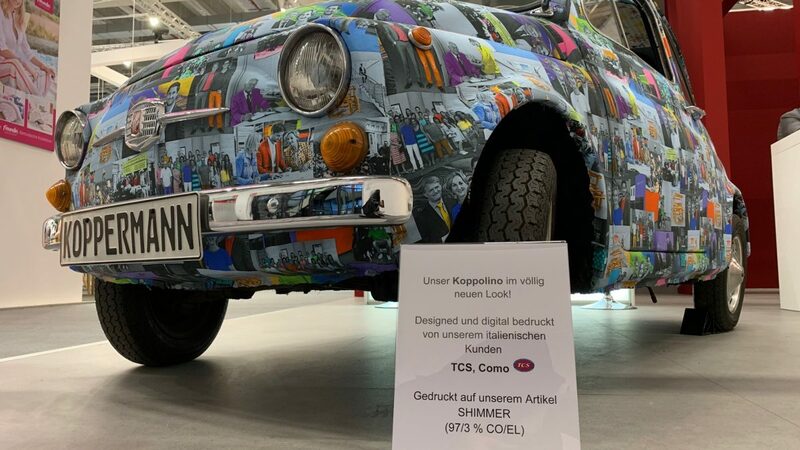 At the Heimtextil trade fair in Frankfurt it was presented to the general public for the first time and became a coveted photo object with its mixture of Pop Art and Dolce Vita. 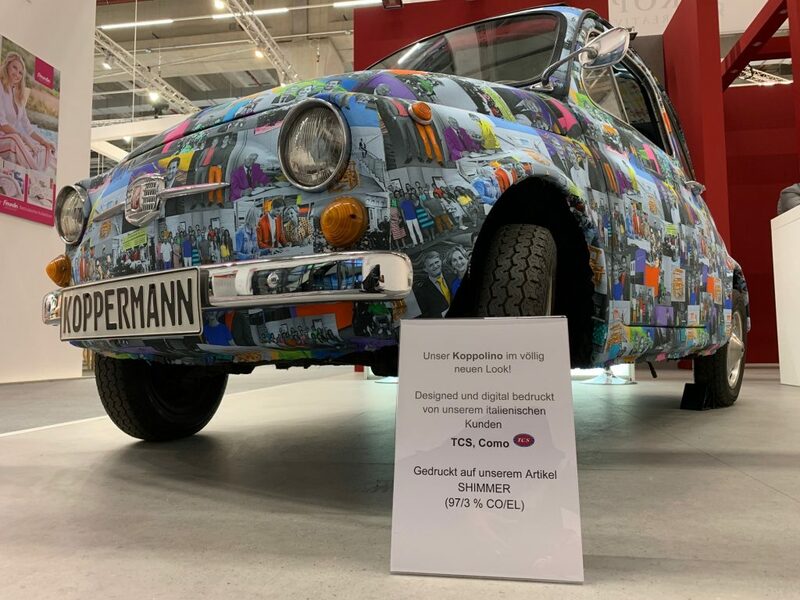 The transformation from oldie to trendsetter was made possible by Paolo Sala, the artistic head of our Italian customer TCS Como, who created and digitally printed this great design with the photographic material provided, and our own good spirit, Reimund Veit, who so perfectly covered our Koppolino with the fabric.